More Tomatoism means more chances to encounter anime samples I don’t know, which is always good for the ol’ noggin. 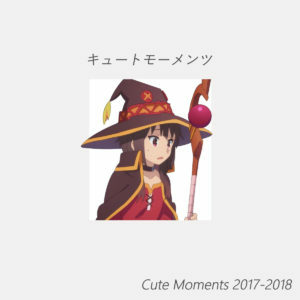 Cute Moments 2017 – 2018 loads up on said vocal snippets (and, uh, Beastie Boy clips jammed up against Kyary Pamyu Pamyu cuts), but this collection of unreleased and deleted tracks also offers as a nice snapshot of Tomatoism’s growth as a producer and all-around skills. Early cuts such as “Right Eye” and “Kouma Hop” load up on neck-twisting bass drops, but then Tomatoism pivots into punishing hyper-speed pop mutations and funkot epics. While speed tends to be prioritized, songs such as “Mikuru” shows a slightly more laid-back style, while “Cat Food…” uses space (and constant song-breaking stops to play out anime dialogue) to create one of the stranger hard-edged bangers to come from a Japanese producer in a while. Get it here, or listen below.